ehsInc ' "...among the "Fastest Growing Private Companies of 2014"
"We have some fantastic news, ehslnc has made the Orange County Business Journal’s list of the Fastest Growing Private Companies of 2014. Congratulations!" 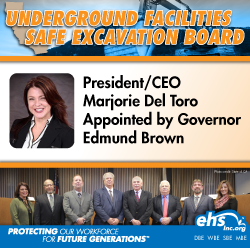 This annual list and special report will publish in the OCBJ September 22nd issue. Each year, the Fastest Growing Private Companies edition is one of their biggest and most anticipated issues. 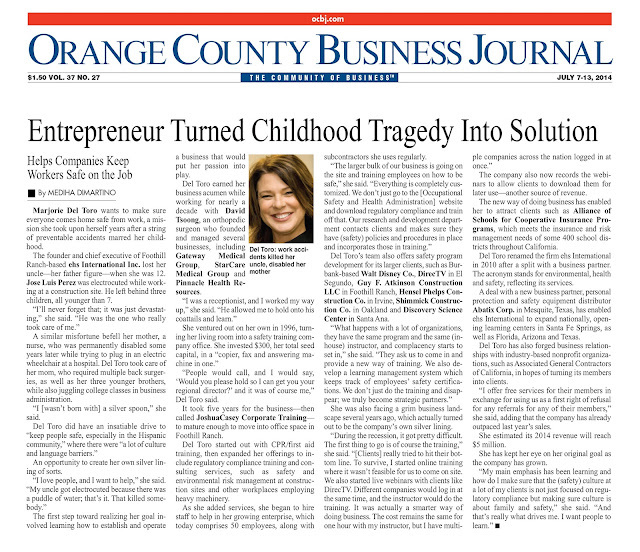 Readership is over 60,000 business leaders in the OC." 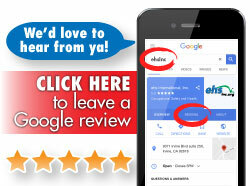 We owe our success to our clients who have supported us throughout the years. We thank each and every one you across the nation for making this possible. 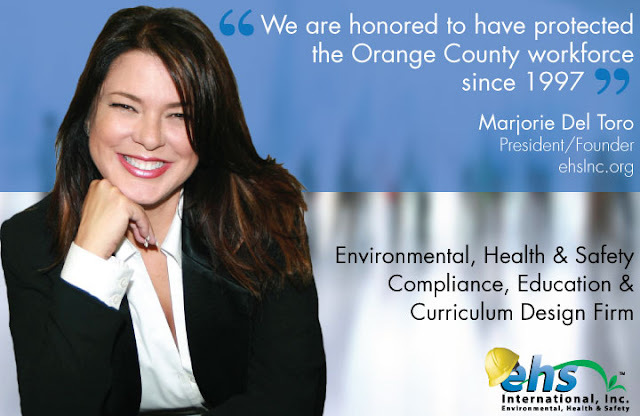 Marjorie Del Toro, President/CEO of ehs International, Inc. was featured in the Orange County Business Journal this month. In the article she shared her story candidly about family tragedy that turned into her passion for safety. She also felt it was important to give credit to the growth of her organization to the partnerships and associations that have supported her along the way.